Deal will add Nanorep's technologies to LogMeIn's own offering for smarter customer experiences. LogMeIn has revealed a major new deal which it says will help its services become smarter and more personalised than ever. 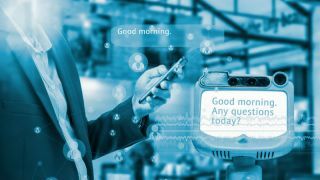 The privacy firm has announced that it will acquire the digital self-service, chatbot and virtual assistant company Nanorep to provide more personalised experiences for its customers. The Israel-based company harnesses artificial intelligence and patented natural language processing technologies to create solutions that help make self-service more engaging and intuitive for its users. Nanorep's technology has already been deployed by some of the world's biggest brands including FedEx, Toys “R” US and Vodafone to improve their key customer service initiatives. LogMeIn recently released its new intelligent customer engagement platform, Bold360 and its acquisition of Nanorep is another step forward in its mission to empower companies to deliver customer engagement that is more human, personalised and intelligent. “LogMeIn and Nanorep share a common vision for the future of customer engagement, and that is one predicated on providing personalised, human experiences that can simultaneously boost customer satisfaction while reducing costs. This is not only a natural fit, but an immediate win for our respective customers."